In 2017-18 the technical tie-up between Volvo and former owner Ford will no longer exist. As a result, Volvo will be taking its entire design and production system back in-house and will be changing the range of models it has available for purchase, finance or lease. To facilitate this change, Volvo have developed two radical new vehicle architectures. SPA (Scaleable Product Architecture) is a new platform that will be the foundation for up to 80% of new Volvo’s produced for finance, purchase or lease. Meanwhile their VEA (Vehicle Environmental Architecture) is guiding the way Volvo creates new powertrains. The results of these new systems will first be seen at the Geneva Motor Show, where Volvo are expected to reveal a new car that will replace both the S40 Saloon and the V50 Estate. Volvo say that the ‘sweet spot’ for them in this area is their hatchback line, and so the company will no longer be producing a small estate. Volvo expects that it will manufacture about 90,000 of their new V40 cars for purchase, lease or finance. 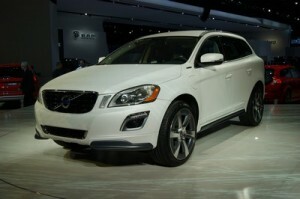 Volvo say that they are intending to focus on mid-range vehicles for the foreseeable future. This means that the new V40 and the C30 will remain their smallest cars. Despite speculation that the company might decide to enter the popular supermini market, Volvo make it clear that this is not a priority for them. They say that at the moment they will concentrate on producing compact family cars for purchase, lease or finance, and reviewing and refreshing their current range before considering new markets. Volvo do say that expanding into new segments may be a possibility after the overhaul of their current range, but it seems that the SUV market is likely to be favoured over superminis. Volvo’s CEO is on record saying that he thinks they should have a strong SUV presence, and it interested in seeing a new, smaller model below the XC60. However, he also makes it clear that Volvo want to avoid getting drawn into too many niches. Volvo’s CEO also believes that the next five years will see electrification extend throughout the entire Volvo range. Steps are already being taken here, with Volvo primed to launch their first hybrid for finance, lease or purchase in Europe later in the year. If you’re looking to purchase or lease a new Volvo contact our sales team. Alternatively, visit our website where you will find new and used Volvo’s available for sale or on finance.